All of Web24’s Hosting Solutions, Domain Registrations and Transfers can be easily ordered via our online shopping cart. The Hosting Solutions on our home page have convenient order buttons, which will take you to our online shopping cart to proceed through the ordering process. 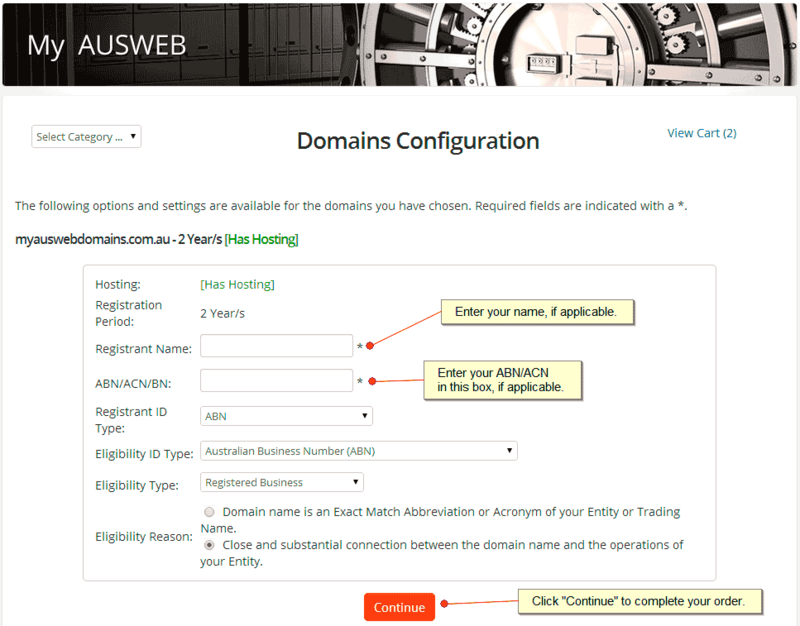 The following tutorial will guide you through ordering your new Hosting Solution and domain name(s). You can view all Web24 hosting services available, by clicking on the “Categories” drop down menu. All of our solutions from cPanel Hosting to VMware Cloud Hosting to Dedicated Servers will be selectable. 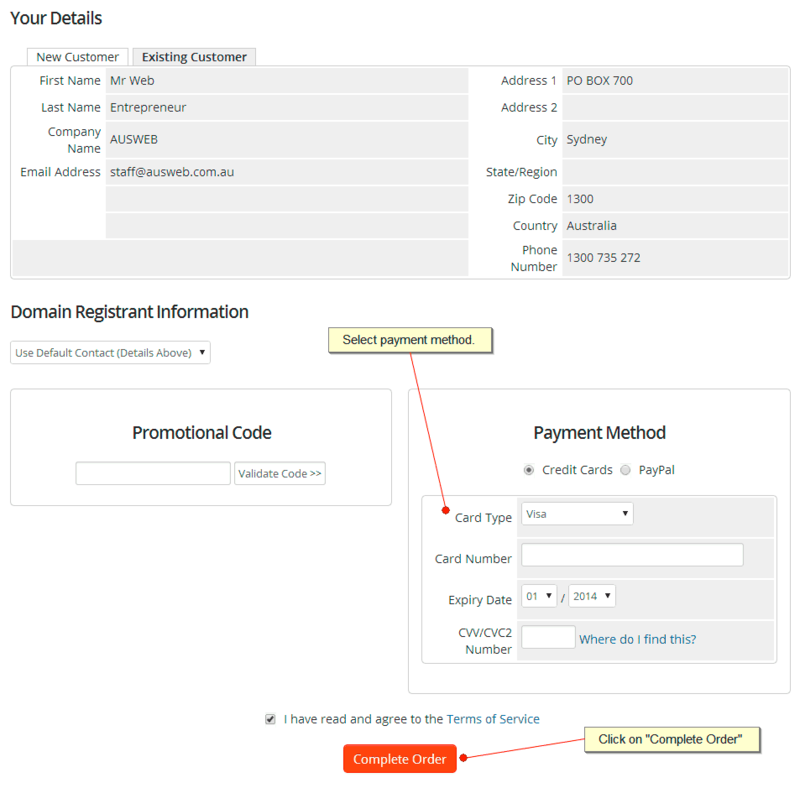 As above, select the hosting package you wish to sign up for and click the “Order Now” button. Enter your desired domain name and extension, select “Check Availability” and our domain system will check the availability of your choice or provide some alternates such as .net (you can continue checking as many times as you like, until your domain name choice is available). Tick the domain that you want to register, select your desired registration period and then click on the “Click To Continue” button. 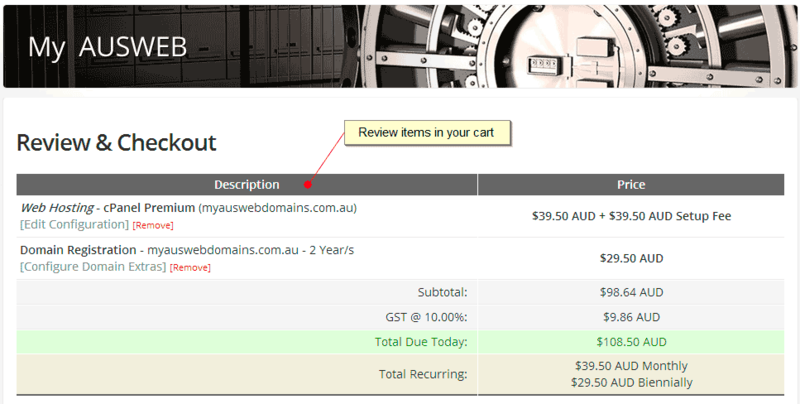 If you have a currently registered domain, that you wish to transfer to Web24, select this option. Type in your domain name and you should see a confirmation message saying that we can complete the transfer. Domains cannot be transferred within the first 60 days of registration or any previous transfer. For further information visit our domain name tutorials. You will also be required to submit a domain authorization code (aka EPP code), which is required for transfer. If you have a currently registered domain with another domain registrar and do not wish to transfer, enter your domain and select this option. Once you have signed up for your hosting plan, you will receive nameserver details, which you can manage with your current domain registrar. 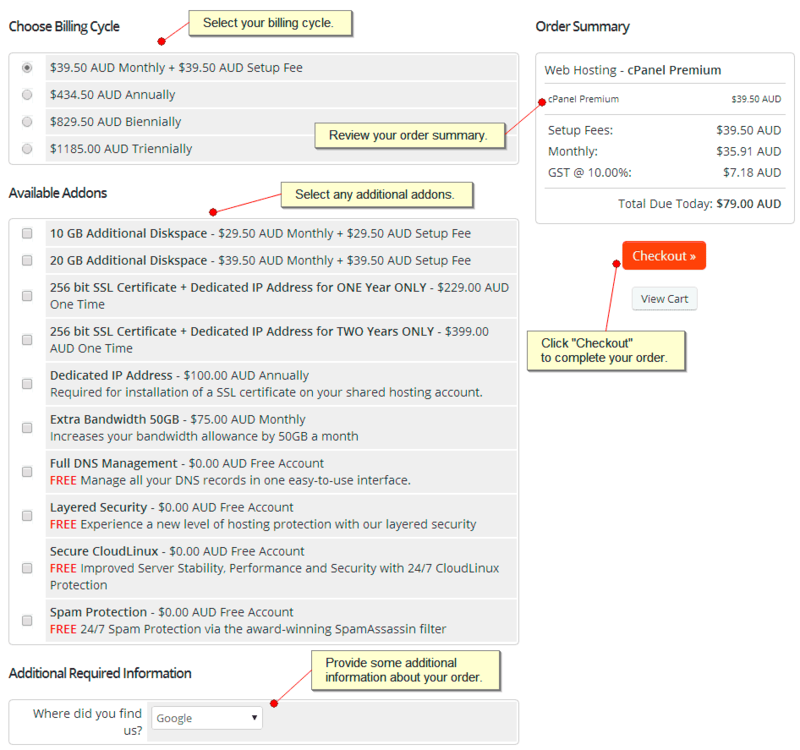 Here you will see the available billing cycle options for your chosen plan as well as configurable options, such as available addons. When done, click the “Checkout” button. Here you will see the items in your shopping cart eg. 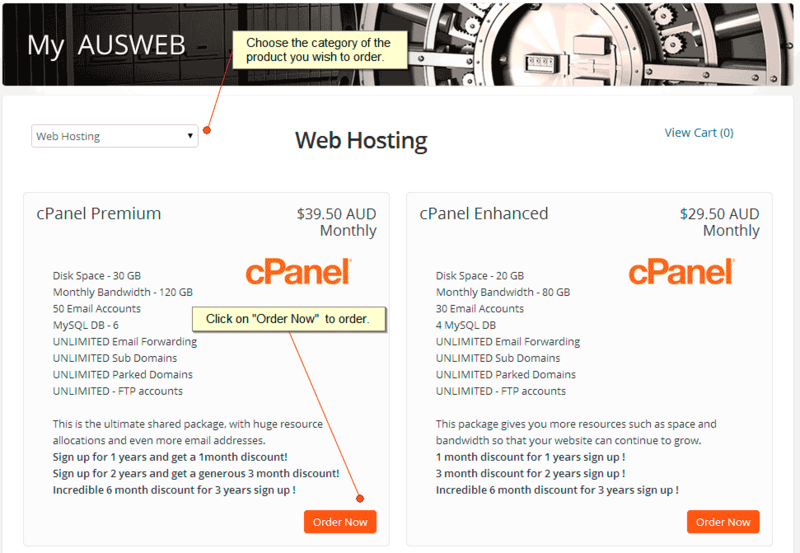 your chosen web hosting plan and/or domain(s) with the price and total. Select your payment method, either credit card or PayPal. Enter additional information, such as domain authorization codes. Read our Terms of Service, and tick the box before clicking on “Complete Order”. Here you can confirm your personal details and enter your selected payment information. When everything is entered correctly, select “Complete Order” and your payment will be processed securely via our secure payment gateway.